Blackened steel table lamp. 1-60W A19 medium base with an on/off switch. White parchment paper diffuser with 3" printed gray stripe. 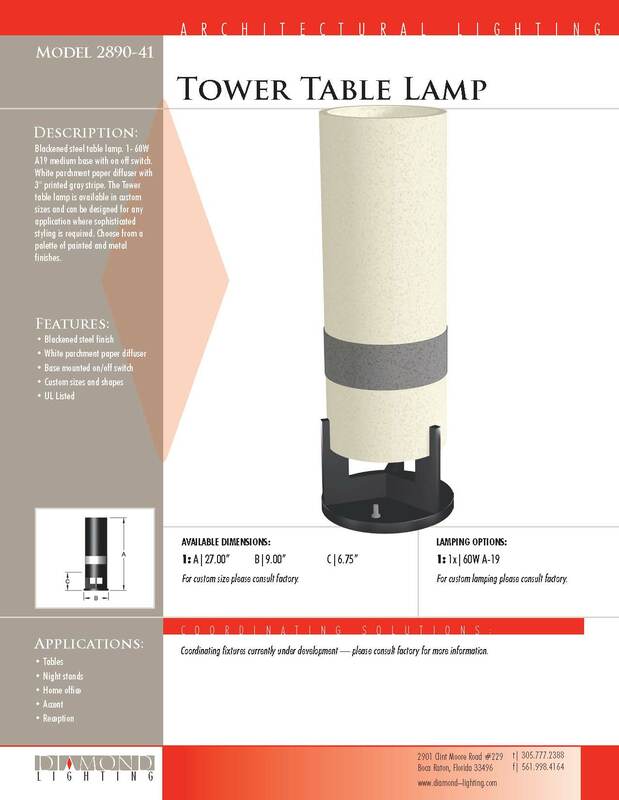 The Tower table lamp is available in custom sizes and can be designed for any application where sophisticated styling is required. Choose from a palette of painted and metal finishes. The Quad desk lamp is furnished with 8ft of SPT-2 cord and polarized plug. Integral clear reflector focuses light on work areas. The push buttom switch is conveniently located on the base for easy access. 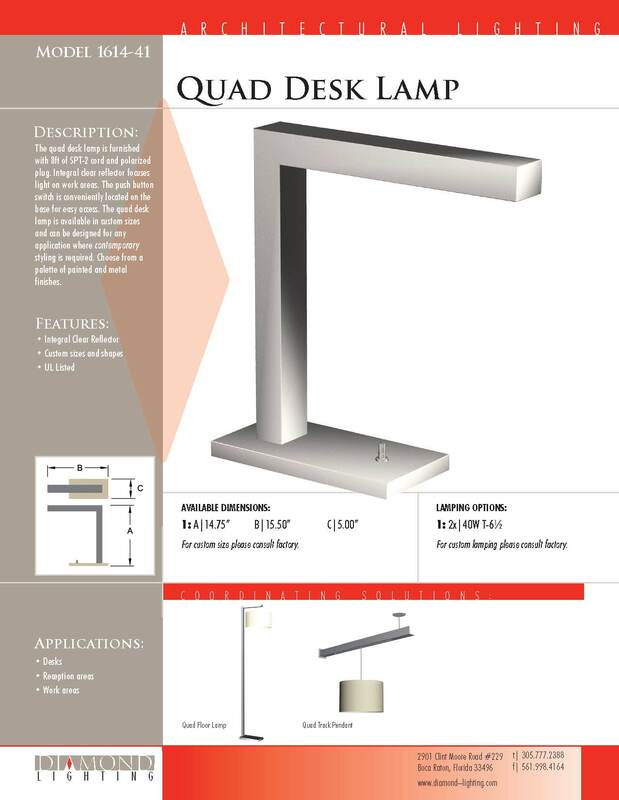 The Quad desk lamp is available in custom sizes and can be designed for any application where contemporary styling is required. Choose from a palette of painted and metal finishes. 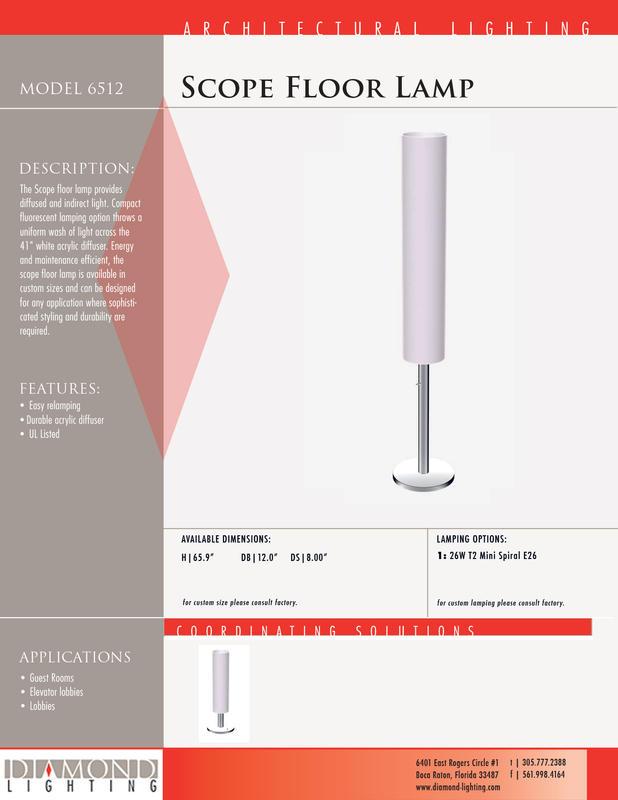 The Scope floor lamp provides diffused and indirect light. Compact fluorescent lamping option throws a uniform wash of light across the 41" white acrylic diffuser. Energy and maintenance efficient, the scope floor lamp is available in custom sizes and can be designed for any application where sophisticated styling and durability are required. The Scope table lamp provides diffused and indirect light. Compact fluorescent lamping option throws a uniform wash of light across the 22" white acrylic diffuser. Energy and maintenance efficient, the scope floor lamp is available in custom sizes and can be designed for any application where sophisticated styling and durability are required.